Ted Cruz Speaks for Me: I Don’t Trust the Republicans! Ted Cruz Speaks for Me! I don’t trust the Republicans, either! MUST WATCH – worth the time to see Rubio, Lee, And Cruz take on Kaine, Durbin, and McCain. Just found this posted by Sen. Ted Cruz. 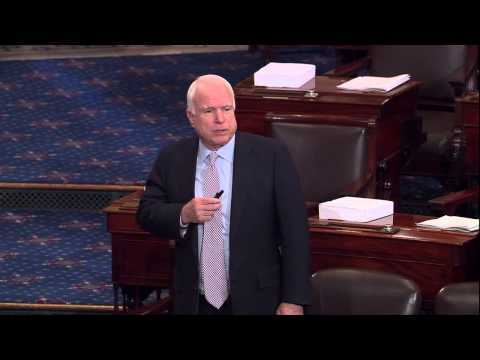 33 minute video putting the Debt Ceiling Debate in the Senate in context. John McCain is old, out of touch, and no longer thinking clearly. He is working with the democrats. Should he be reelected, it should be as democrat. Ted Cruz is at odds with Marco Rubio over immigration legislation. The two have much in common as first-term senators elected with the help of the tea party from states with large Latino populations. Both have Cuban roots and are considered rising GOP stars and prospective presidential rivals. But the pair is divided on immigration legislation — a key difference that could have significant ramifications for their party and political ambitions. The Texas freshman is sharply critical of the pathway to citizenship for the nation’s 11 million undocumented immigrants, a central part of the bipartisan bill that Rubio helped write. Cruz is weighing whether to aggressively oppose the immigration overhaul, a decision that could neutralize Rubio’s outreach to conservative activists in order to minimize their opposition. Earlier this week, AFL-CIO director of immigration Ana Avendañon said the massive labor union would eviscerate politicians who stand in the way of amnesty for America’s at least 11 million illegal immigrants. “Politicians know that if they stand in the way of citizenship we will steamroller them,” Avendaño said. “That’s a fun evolution. Immigration and Customs Enforcement (ICE) agents’ union president Chris Crane adds that he thinks the AFL-CIO’s threats are even more troubling in this particular case because the massive labor union was one of the few special interest groups that had a hand in actually writing the legislation. Read the entire article at Breitbart Big Government.